A small, family-run restaurant disputes a Health District downgrade, saying they're not as dirty as a recent inspection makes them look. 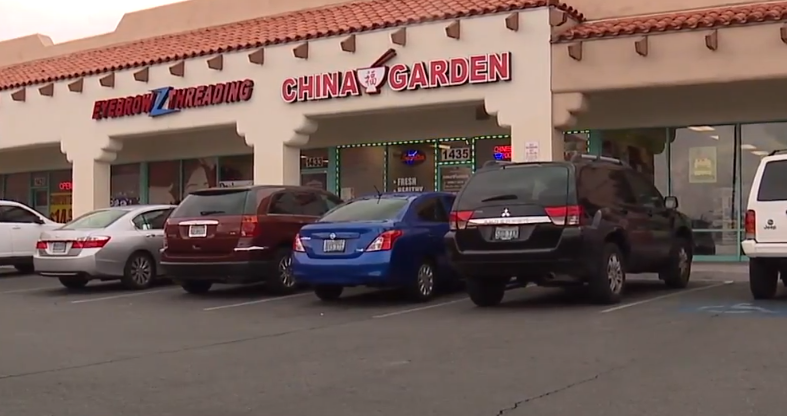 LAS VEGAS (KTNV) — A small, family-run restaurant disputes a Health District downgrade, saying they're not as dirty as a recent inspection makes them look. "As you can see, everything's clean. I don't know why we get a C grade but, I'm kind of upset, you know?" Manager Wen Le says everyone at China Garden on Jones and Vegas was upset by the 33-demerit C grade the restaurant got on its January 22 inspection. "Did you disagree with all the violations they wrote up?" asked 13 Chief Investigator Darcy Spears. "Yeah, I would say yes," Le answered. Violations like hot water that was not hot enough, food that wasn't cooled fast enough and lots of items held in the temperature danger zone. All of those are considered critical violations by the Health District. Cooked chicken, cooked beef, black beans and chow mein were at unsafe temperatures. Hot foods must be at least 135 degrees and cold stuff has to be 41 degrees or lower. The cooked meat health inspectors measured was lukewarm at best--65 degrees off the mark. "When they are here we are really busy at that moment so it kind of messed up everything, you know, but normally we never have that kind of problem/issue," Le said. "We always take care of everything." Not always. Health inspectors noted repeat violations for old dried food debris on the deli slicer and can opener blades as well as no date labels on prepared foods in the freezer. There was also a lot food subject to contamination. Raw eggs were stored next to and above ready-to-eat food in the cooler including soda and sauces. Tomato sauce was stored in an open metal can for two days. Metal bowls with no handles were used as food scoops. And two bowls of pineapples were double-stacked with no barrier. Pork was thawing in the three-compartment sink next to a dirty drain board and another compartment filled with water, chemicals and dirty equipment. Containers of breadcrumbs and seasonings were left uncovered. And equipment and floors were soiled with heavy grease and food debris. Wen Le says he guarantees everything they serve is fresh and the small family business will do whatever it takes to keep clean. Darcy: We're not going to see a C grade here again? China Garden got a 9-demerit A grade on January 28, making it two demerits short of closure for a failed re-inspection. They avoided shut down, but that wasn't the case for Frujuice. Its temporary set-up in association with Farmer's Market at the Galleria Mall was ordered to close due to an imminent health hazard. Someone filed a complaint with the Health District and inspectors arrived on January 25 to find no valid health permit, no handwashing station, no sanitizer and all open samples subject to contamination by consumers. They were ordered to cease and desist until fully approved to operate by the Health District. They passed their re-inspection on February 1. Frujuice's owner said his workers setting up the sample table forgot their handwash station. He also said they're involved in an ongoing dispute with the organizers of Farmer's Market. As for the potential contamination of samples, he said they've modified their policy so they now only hand out samples one at a time instead of leaving multiple open cups out for customers to take.